Dream work is the ability to take a dream, analyze and understand the messages it is trying to convey, and then do the internal transformation to actualize new positive energy that the dream is trying to move you toward. Dream interpretation is one part of the dream work process. 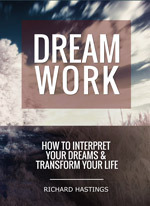 It is the purpose of this new series to assist people in obtaining a better understanding of how to do dream work. Where do dreams come from? If you think of human beings as animals with superior brains like many scientists and people do in the today’s world, then you will be looking to find the origin of dreams inside peoples’ brains. If this were the case, then we would believe that we might better be able to control the contents of dreams like in the movie Inception. Indeed some people do try to direct their dreams. In my approach to dream work, however, human beings are spiritual creatures having a material experience. This means that we are spiritual beings and we are material beings at the same time. While the brain is involved, dreaming is essentially an experience of the soul. When you relate to dreams in this manner, there are two ways to understand the experience. Whatever way you choose has it value. The first way to relate to it is by seeing dreaming as a kind of voyage of the soul. When you sleep, your brain and body go into a state that is the closest thing to approximating death. The brain particularly goes very inactive. So you can see the dream as the time when your soul can go away from the body and experience a different reality that is meaningful to you and still leave a memory of its experience. The other way to see the world of dreams is that it is a world inside yourself where the rules of time and space are suspended, something like the world you enter during deep meditation. When you view dreams more like soul travel, then you experience its connectedness with all life. Seeing it as inner world allows you have a deeper understanding of who you are and what your purpose is on the planet. One of the main keys to working with your dreams is the ability to let go of the process of trying to control their content. Controlling the dream world is like trying to control the future. It is better to let the dream world do as it wills outside of your direction in the same way that it is better to leave the future alone. What happens to you when you try to control a spiritual dimension is that your inner world becomes apocalyptic and then you end up in your own personal hell. In order to be able to trust the dream world by letting go of control, it is helpful to believe that there is a larger spiritual force which most of us call God or the Holy Spirit who is extremely benevolent, has our best interests in mind, and is infinitely better at directing the show. When we try to do it, we always screw it up badly. If you do the dream work long enough and see what positive things it can do to people’s lives, it is pretty hard to deny a supreme being. When you want to have more control over the transformation process, it is much better to believe that the spiritual dimension or the dream dimension is within yourself as in God within. When you want to feel a sense of freedom, then see the dream world as a journey of the soul outside yourself. Whatever way you use, let go of control and trust the experience. Believe that God knows best. The dreams are just too perfect to come from you. You will never be that intelligent to come up with what you need through thinking. Baha’u’llah says it this way. He is quoting from past traditions. The big lesson in dealing with dreams is to trust in the spiritual world. I am so grateful to see a new dream series emerging from this blog! 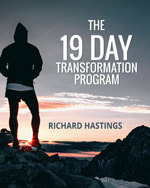 I see it as a great opportunity to continue learning about and experiencing transformation through Dream Work.